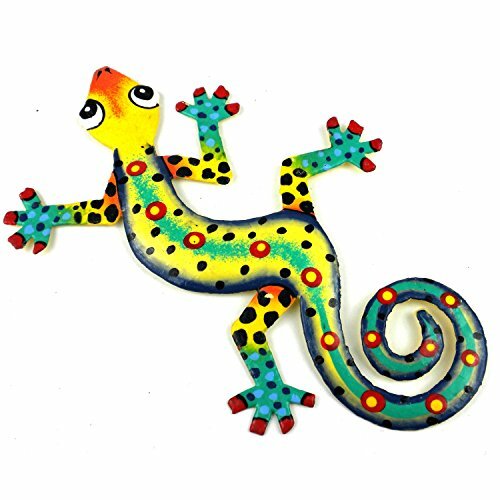 This gecko is handmade in Haiti from recycled oil drums. 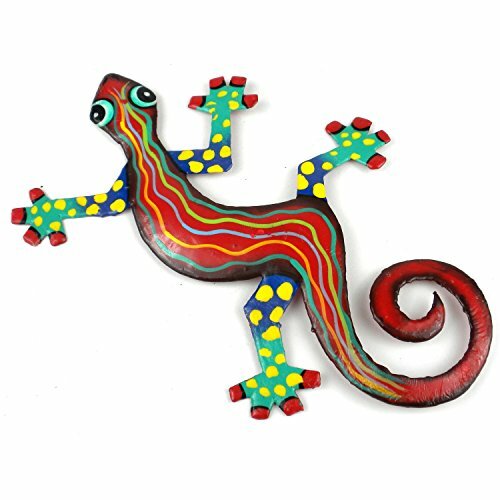 Each has a small hook to hang the piece, and is painted with a bright colorful design inspired by the local Hatian culture. 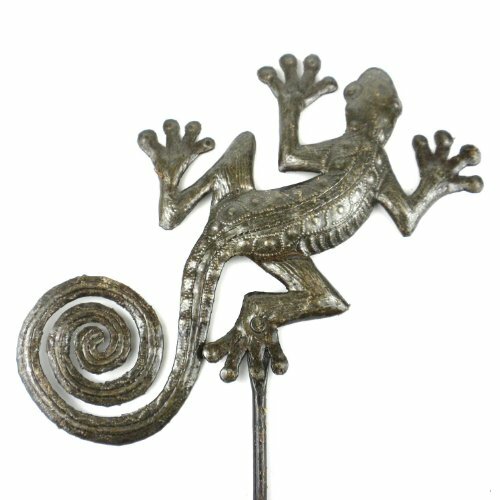 From head to tail, the gecko is 8 inches long.